“The broader system of money laundering operations exhibits such a degree of complexity that it is impossible to determine the amount being laundered. The most commonly cited figure of $1.5 trillion is for media consumption alone,” he said. Walker said: “I’ve been contracted by the UN Office on Drugs and Crime to update those 1998 figures, but sadly, the project has stalled due to the fear of upsetting member countries’ sensitivities. But I would stand by the 1998 figures if we factor in the rise in the value of the dollar. The major criticism of my 1998 figures was that my estimates were way too high. Subsequent events have shown that any criticism along those lines was laughably wrong,” he said. “I do not believe that anti-money laundering has had any significant impact on rates of global crime, except to have forced changes in the way that the proceeds of crime are laundered. If I had money to launder right now, I would take advantage of the lack of oversight of international trade prices – particularly in services. The Global Financial Integrity Project led by Raymond Baker focuses on flows of finance illicitly removed from developing countries, concluding that for every dollar of aid ‘given’ to developing countries, there are $10 going the other way due to corruption, multi-national company tax evasion and straight out fraud,” he said. In Walker’s model, the US was responsible for 46.3% of money laundered ($1.32 trillion). Two other well-known centres of organised crime came next: Italy ($0.15 trillion, 5.3%) and Russia ($0.147 trillion, 5.2%). There followed China, whose share one would expect to have grown since 1998, along with the rest of its economy ($0.13 trillion, 4.6%). The rest of the top 10 consisted mainly, though not exclusively, of Western countries: Germany, France, Romania, Canada, the UK , Hong Kong. The model’s total for money laundering of $2.85 trillion would need to be increased by 38% to allow for dollar inflation, making it $3.933 trillion. The figure for the US would be $1.82 trillion. 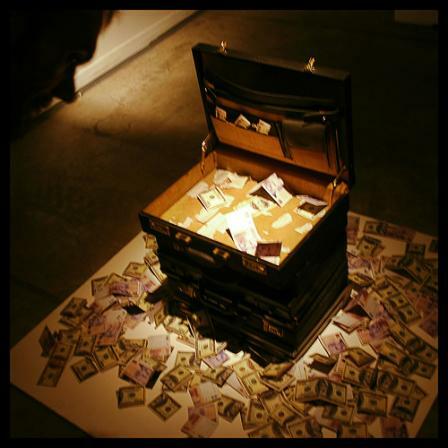 In Walker’s model the destinations of money laundering are sometime different from the sources. The US is top again, but with 18.9%, followed by one of the world’s major offshore financial centres, the Cayman Islands (4.9%), Russia (4.2%), Italy (3.7%), China, Romania, Canada, Vatican City, Luxembourg and France. One necessary update to Walker’s models is that both the City of London and Wall Street now play a bigger part in global money laundering than they did in 1998. “The capacity of these financial centres to carry out financial operations at larger scales makes them vulnerable despite the perceived strong regulatory initiatives. Also, there is a further perceived legitimacy to the laundering of funds if they go through London or New York,” said Dr Demetis. “Wachovia’s blatant disregard for our banking laws gave international cocaine cartels a virtual carte blanche to finance their operations,” said Jeffrey Sloman, the federal prosecutor. Yet, the total fine of $160 million was less than 2% of the bank’s $12.3bn profit for 2009. The Bank of New York was also fined the derisory amount of $38 million in penalties and victim compensation in 2005 after a six-year investigation of fraud and money laundering involving suspect Russian and US bank accounts and other fraudulent transactions. The bank admitted that it had not adequately monitored and reported suspect accounts, and “accepted responsibility for its criminal conduct”. Cases such as the ones involving Wachovia and the Bank of New York prompted US fraud investigator Eric Lewis, to tell a congressional hearing last year that powerful tools to stop laundering are not being used “as vigorously and consistently as they could be”. Lewis criticised Wall Street’s due diligence, saying that this “first line of defence” often failed because banks are “heavily incentivised to look the other way”. Lewis also said that the fines imposed on banks were too small to have an effect. He said that until that changed, banks would not be good policemen. “The variation exhibited in different techniques for laundering money is truly amazing,” said Dr Demetis. “The strategies penetrate traditional financial institutions, the securities industry, insurance companies, casinos, real-estate and the gaming-sector. The introduction of new products has also changed the nature of the laundering process. “Whereas in the past we could have cross-border bulk transfer of illicit funds, now a large number of pre-paid cards can do the job better,” Dr Demetis said. “Of course, the convergence of the internet with banking facilities has also changed the way in which funds can be laundered. Criminals used to store their profits in various bank accounts. Now they can increasingly leave money online and convert it back to ‘real’ money when there is a need to. Not all money laundering involves banks. One common technique for drug dealers, and also terrorists, involves transporting huge volumes of currency in boxes, suitcases, and the concealed compartments in vehicles, on the highways and through airports. It is then smuggled out of the country and placed in a bank in a jurisdiction with lax enforcement. “The crooks don’t pay tax, so they impose higher taxes on everyone else. They don’t mind paying a premium on legitimate property, so they compete unfairly in the property markets. Honest businessmen are marginalised or eliminated by the cycle of corruption. A country can be seen as a risky place to do business, which can cause a spiral of decline in international trade. Some countries will see increasing poverty, decreasing social order and the rise of extremism all because nothing was done about money laundering. Dr Demetis agrees with Walker. “It certainly has an effect at both a microeconomic, as well as at a macroeconomic level. As the phenomenon of money laundering penetrates national contexts and creates further corruption and crime, the adverse effects can lead to a systemic degeneracy. Institutions become corrupt or are controlled for the purposes of laundering money,” he said. So, what are the best ways to tackle the problem? Walker suggests a change of focus. “The concentration on money laundering serves the wealthy countries well, because it is based in the concept of ‘suspicious’ transactions. It is dead easy for a white collar criminal to make transactions non-suspicious, so the burden falls on those people who peddle drugs at the retail end of the market. I would suggest that a return to focussing on the original crime – and particularly the complicity of the legal and accounting professions – would be more effective that what we are doing now,” he said.